We try to keep our prices as low as possible and feel that given the level of experience and equipment we offer our labour charge of £70 per hour is reasonable. 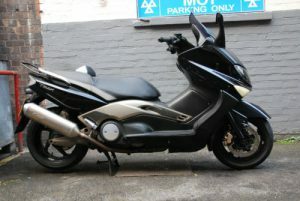 This price is for the bikes above 125cc. We are sure there are cheaper places to go, will they be able to give you the level of service you deserve? Collection of your motorcycle and scooter. 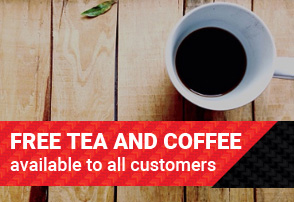 Free tea and coffee available to all customers. 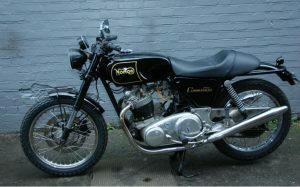 We charge £50 per hour for our labour if we work on the bikes with the engines 125cc or less. 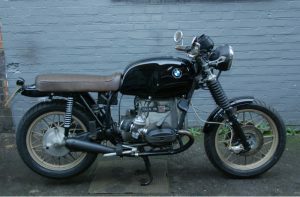 Also we charge same £50 per hour if you are the owner of a classic bike which is older than 30 years. We try to keep our prices as low as possible and feel that given the level of experience and equipment we offer our labour charge of £70 per hour is reasonable. 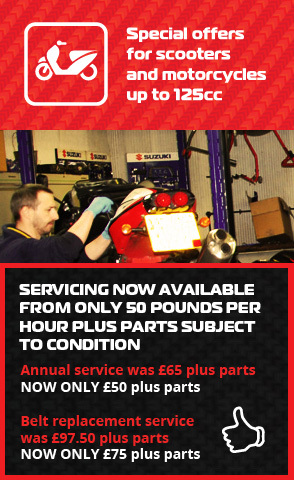 A minimum charge is 1/4 hour (16.25 pounds) excludes special offers. Note that minimum prices are indicated.